There’s a movement to choose garments that will be worn for 30 wears. It’s the opposite of what is currently occurring with fast fashion and garments deemed “old” after three wears. Just three! Started by Livia Firth, the founder of Eco Age (a company which certifies brands for their sustainability) and wife of Colin Firth, the #30Wears movement began to encourage us only to buy an item if we know that we’ll re-wear it. Vintage or consigned clothing can also be a sustainable fashion choice. From The Ecologist, “In melding the ideas of the slow movement with the global clothing industry, we build a new vision for fashion in the era of sustainability: where pleasure and fashion is linked with awareness and responsibility. • Raid your mom or grandma’s closet for beautiful pieces that you can give a new life. • Ask your dry cleaner about repair services. • Find a seamstress to tailor and repair your garments. • Regularly have your garments cleaned by a professional – wet cleaning is safe and sustainable while being gentle on garments for longer life. If you don’t think you have the time or the money to make a difference with your clothing choices, think again. 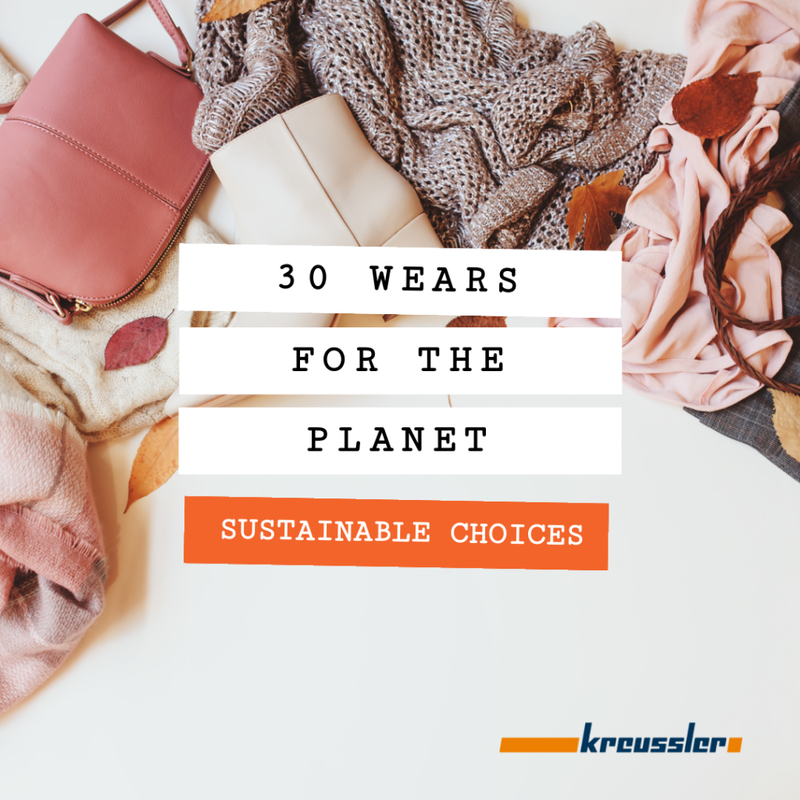 30 wears for the planet is about sustainable clothing choices, and if you do some research, you can make better decisions. Try the 30 wears test next time you go shopping and live up to your promise to wear each piece thirty times. Help spread the word by sharing this article with your friends and community. Together we can make a difference.